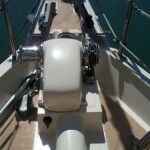 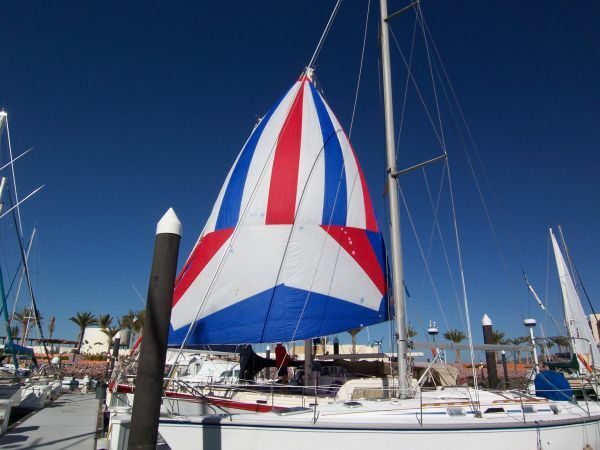 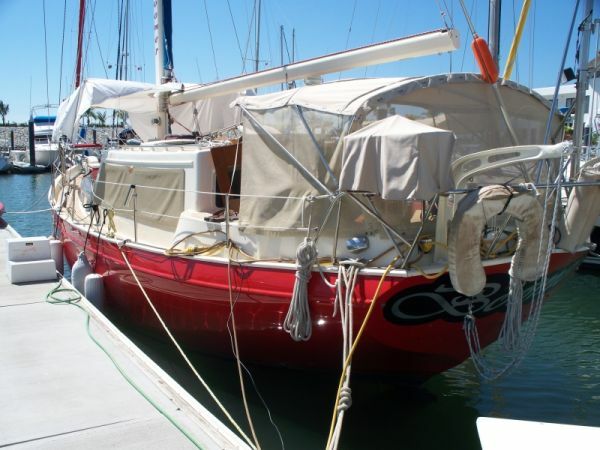 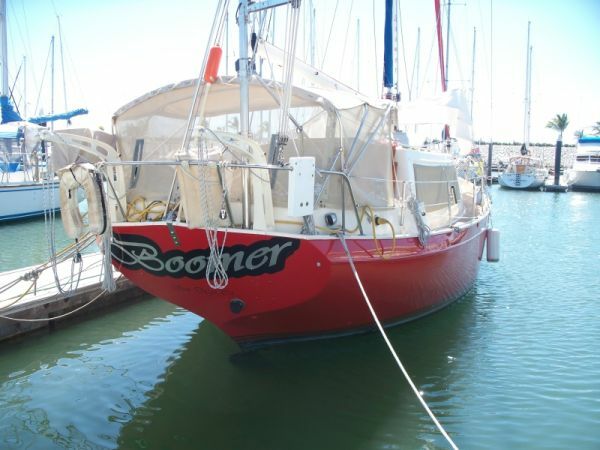 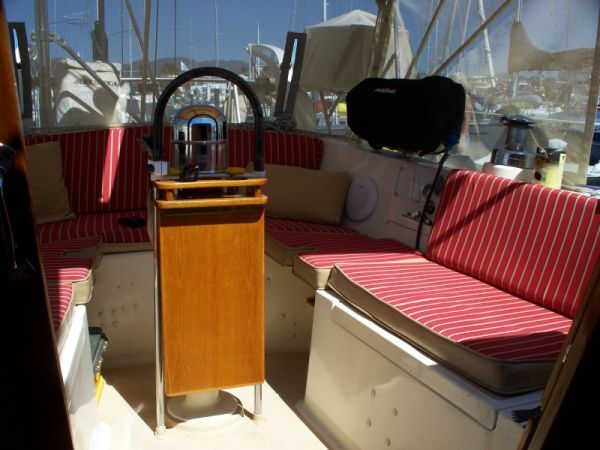 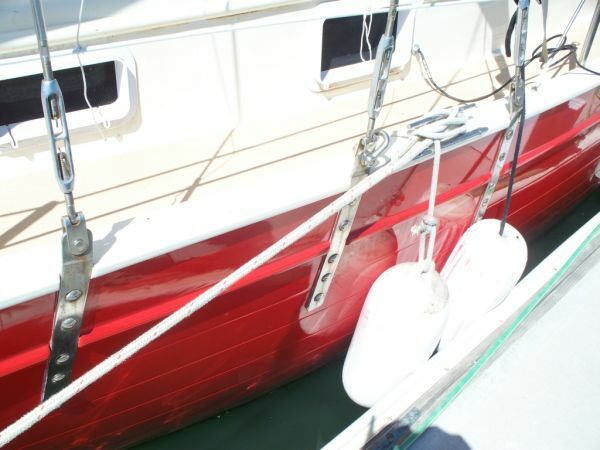 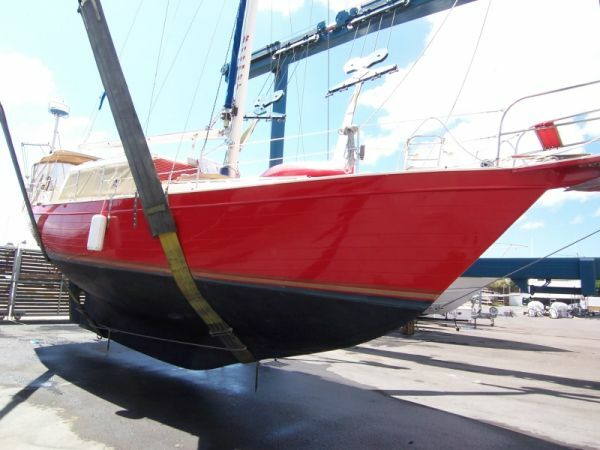 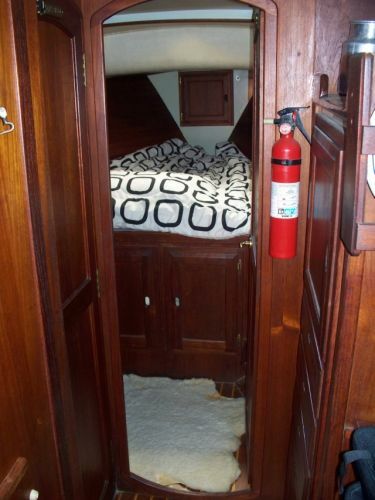 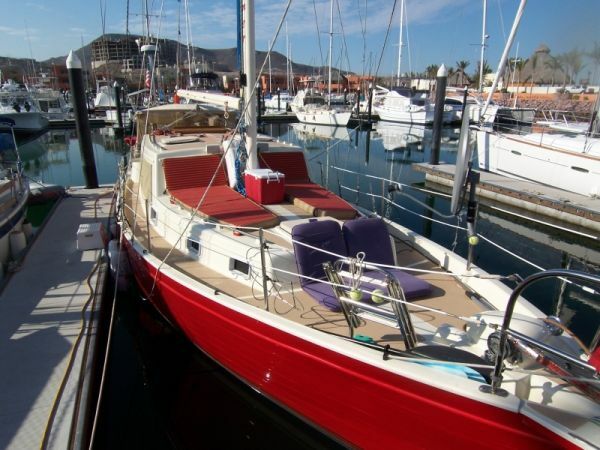 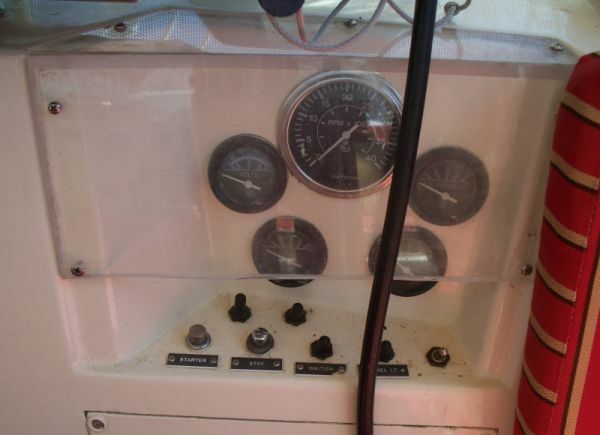 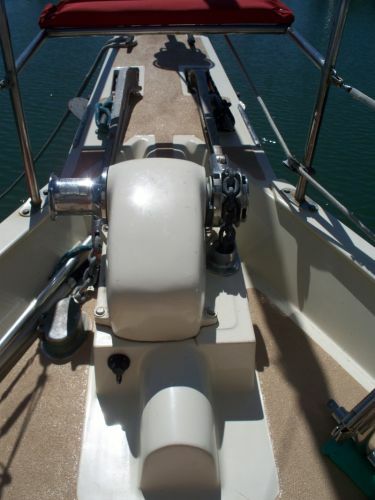 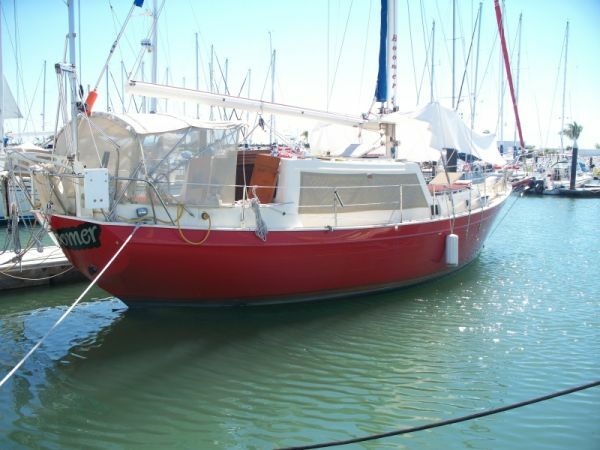 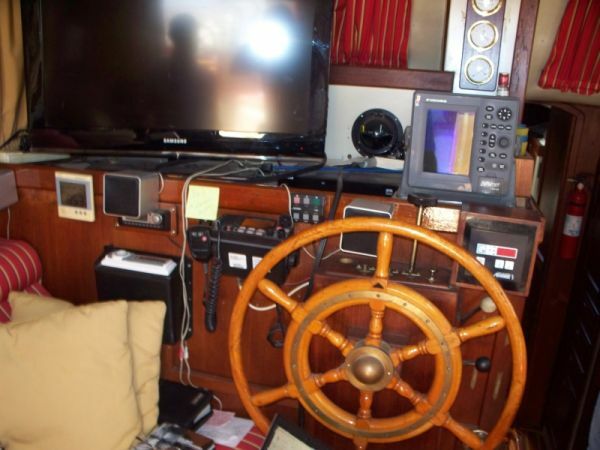 Byron Alperstein sent this information in on his boat that is for sale. 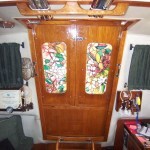 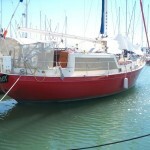 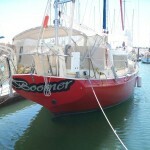 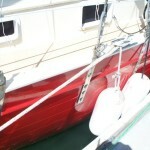 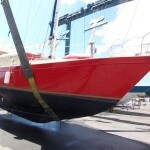 I am posting his boat under Boats for sale with contact information also. 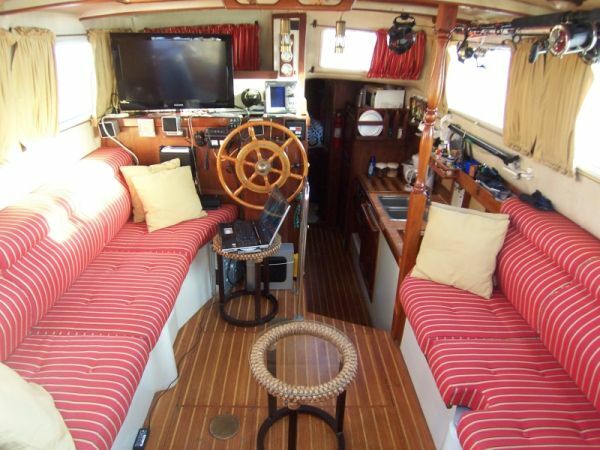 The cockpit is luxurious and spacious, with comfortable seat backs that genuinely and graciously expand the living space. 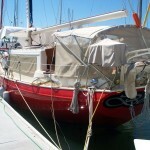 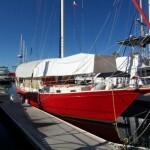 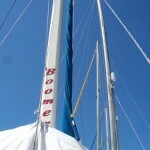 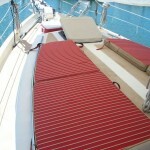 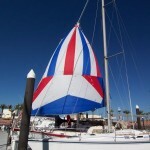 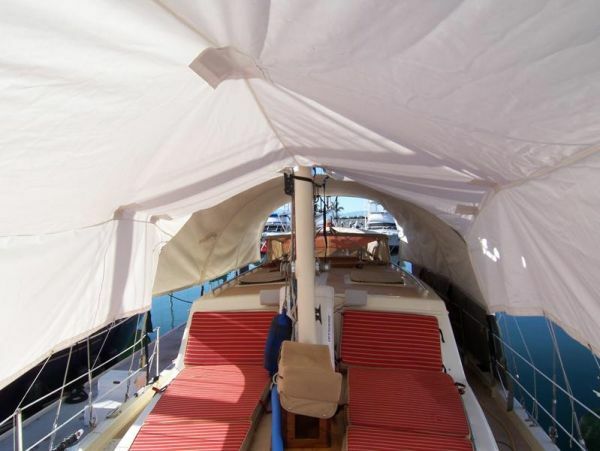 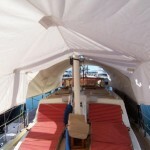 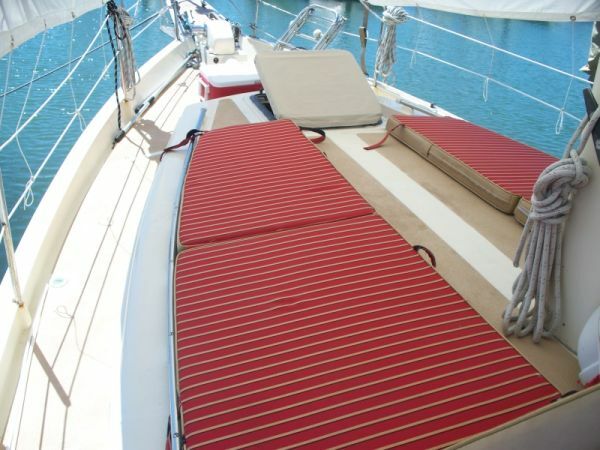 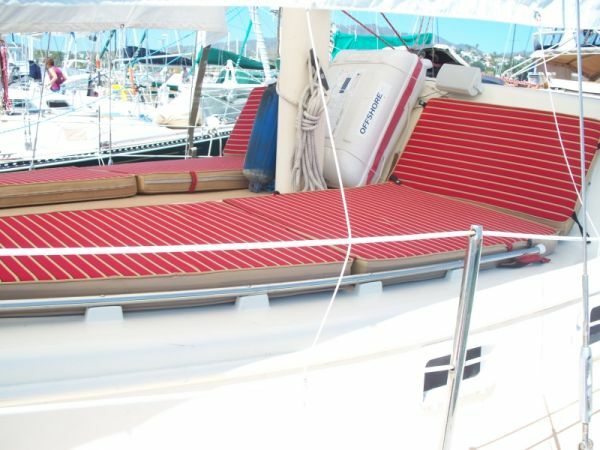 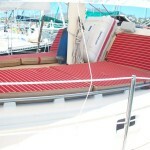 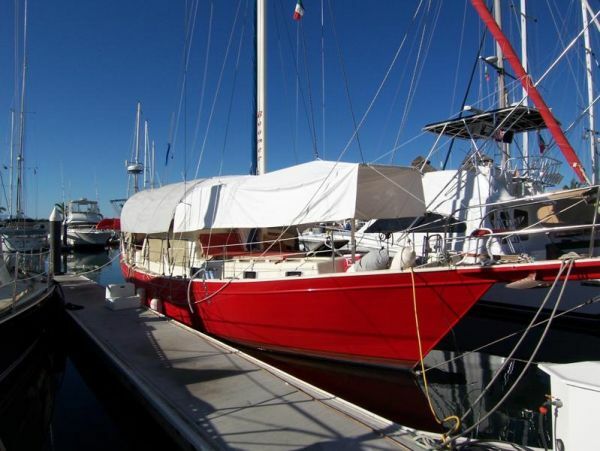 It is covered with a new bimini and surrounded by new color coordinated (of course) sun shade. 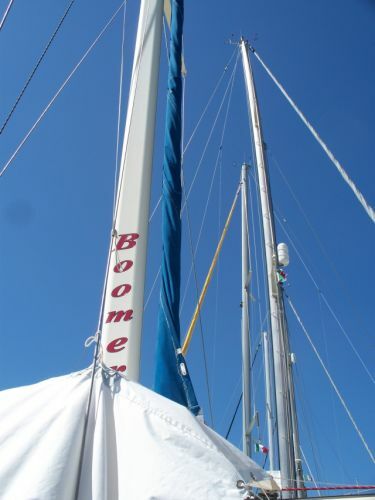 Unless it’s coming down in buckets, this is the place you’ll spend your time. 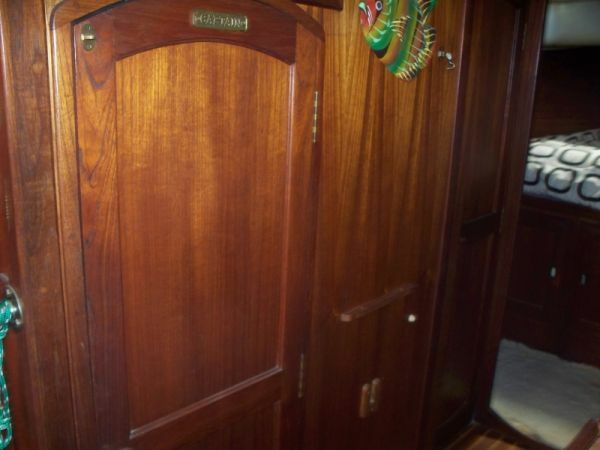 From the cockpit, it’s only two steps down to the beautiful salon. 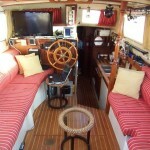 With the salon and cockpit being almost at the same level and the huge size of the cockpit hatch, it’s really almost a continuous living area. 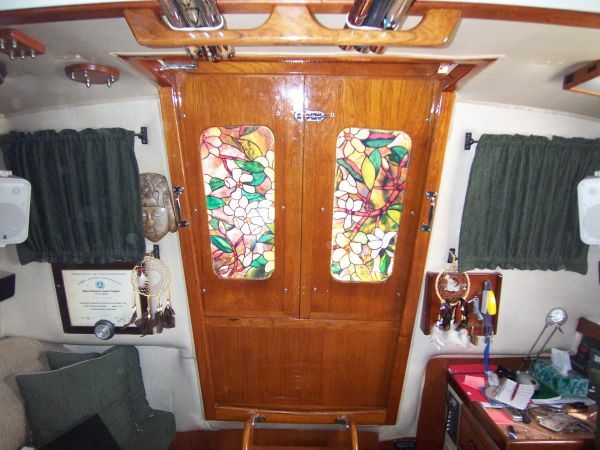 As you enter the salon, you immediately can tell that this is no ordinary sailboat. 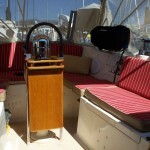 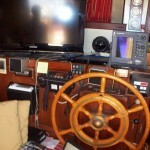 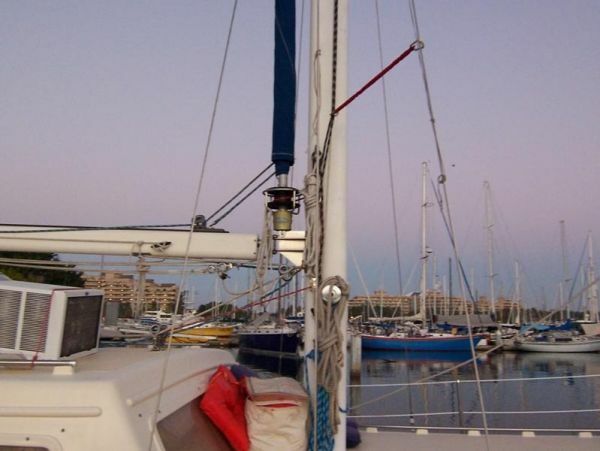 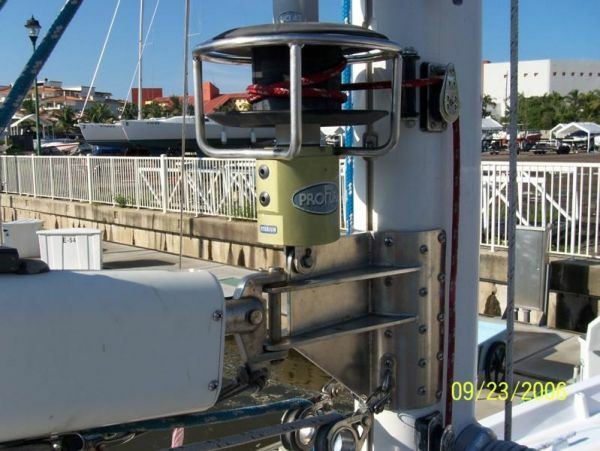 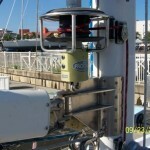 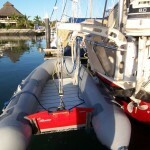 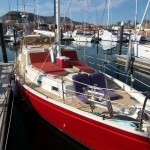 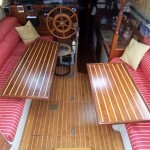 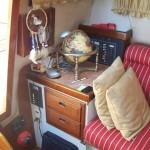 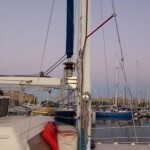 It is a great design, perfect for a cruising or liveaboard single or couple. 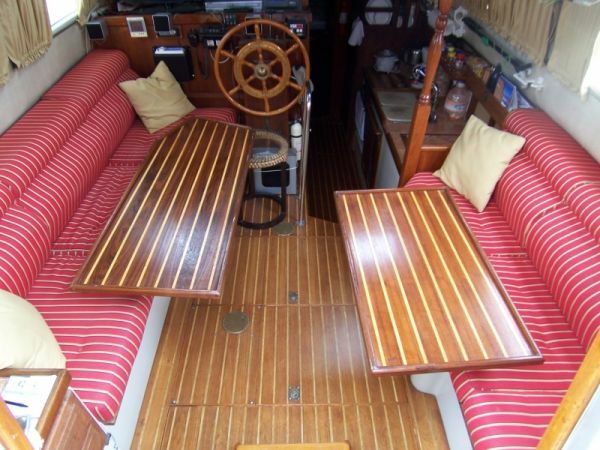 A great layout, high value finish and attention to decorating detail all contribute to the kind of place that make you want to hang out and entertain friends over cocktails and some tilapia. 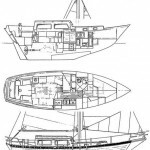 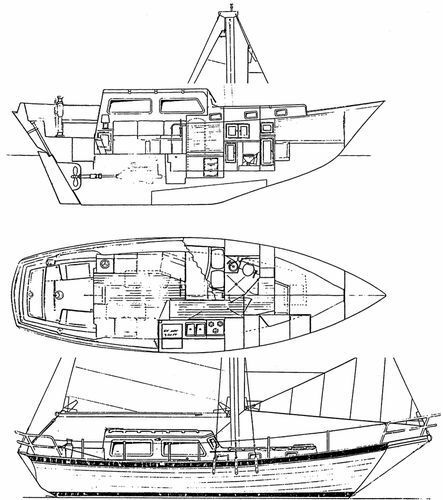 The cruising pilothouse design, with inside helm and roller furling main and headsail, makes it easy to ply through any kind of weather with confidence and in comfort. 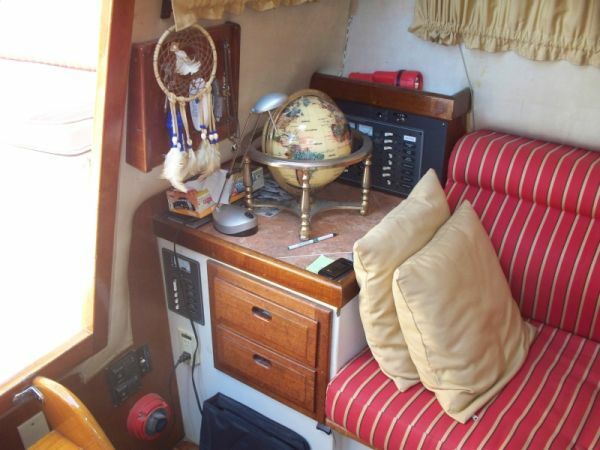 From the salon, down a step to the starboard galley with a roomy freezer / fridge that keeps the owner’s ice cream perfectly frozen. 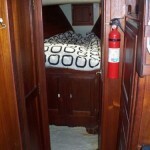 To port is a guest cabin with double bunk. 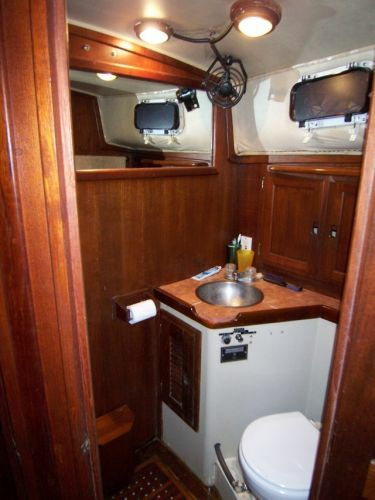 Forward is a nice head with stall shower. 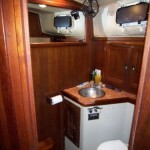 Forward is the roomy master stateroom with V-berth and abundant storage. 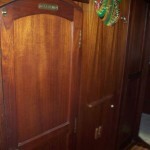 Forward is the chain locker. 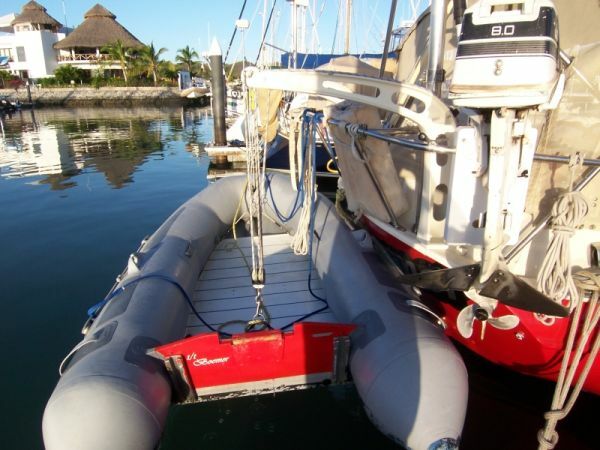 10′ Avon Hypalon dinghy with 8 hp Johnson 2 stroke engine mounted on stern davits. 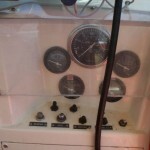 100 hours since full engine rebuild June, 2009.